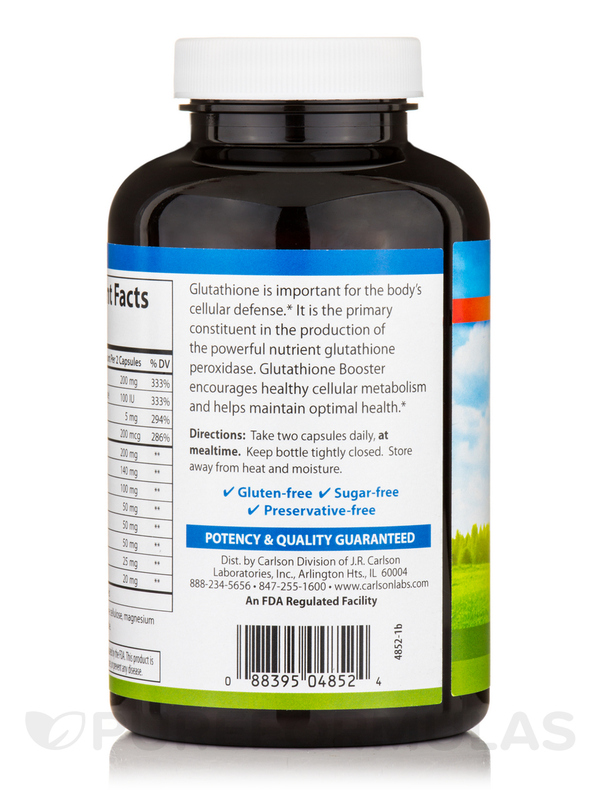 Glutathione Booster is manufactured by J.R. Carlson® Laboratories‚ Inc. to boost the body’s natural defenses. 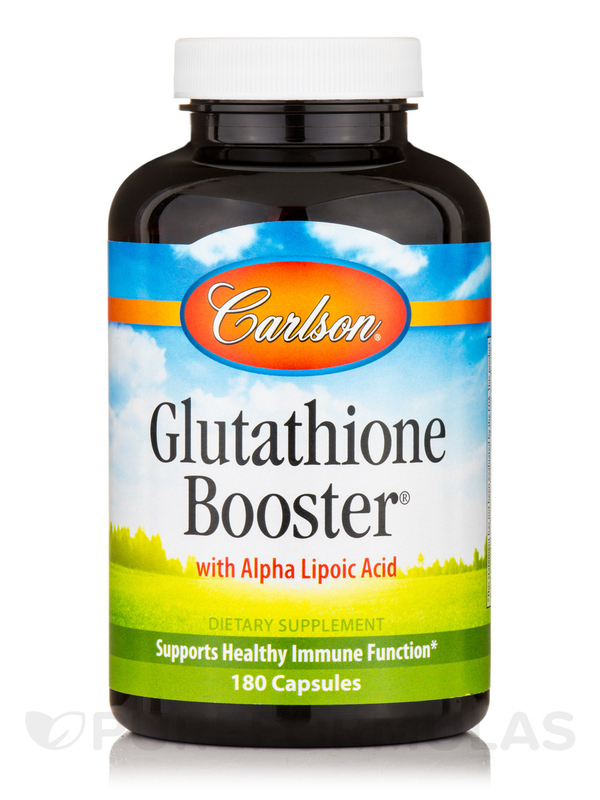 Glutathione Booster includes Vitamin C (Ascorbic Acid). Vitamin C may stimulate white blood cells‚ which attack invading bacteria in the blood. Vitamin C potentially facilitates the growth of tissues‚ and the repair of wounds. Milk Thistle possibly protects the liver by reducing oxidative damage in the biliary tract and liver. Glutathione may neutralize reactive oxygen compounds‚ which trigger certain illnesses. Glutathione escorts the toxins on their way out of the body through the bile and urine. 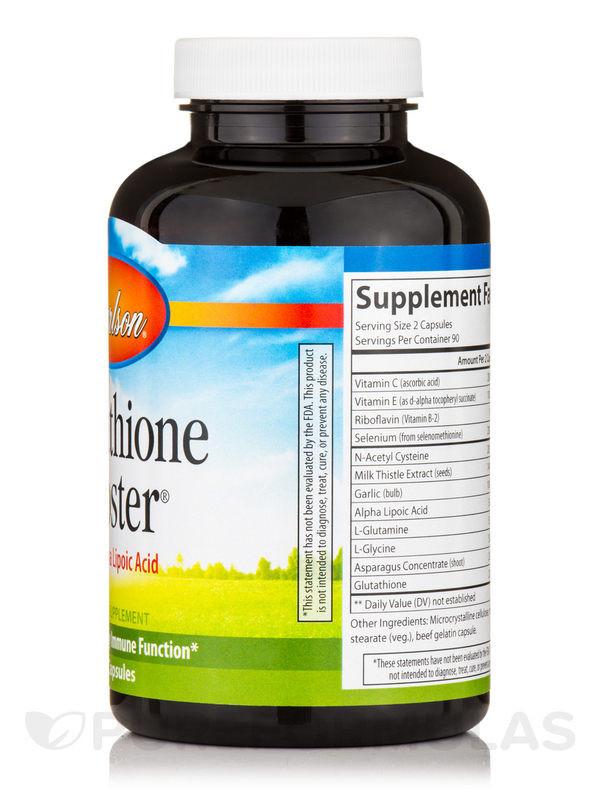 Glutathione Booster helps convert destructive molecules into harmless compounds. Other Ingredients: Microcrystalline cellulose‚ magnesium stearate (veg. )‚ beef gelatin capsule. Take two capsules daily‚ at mealtime. 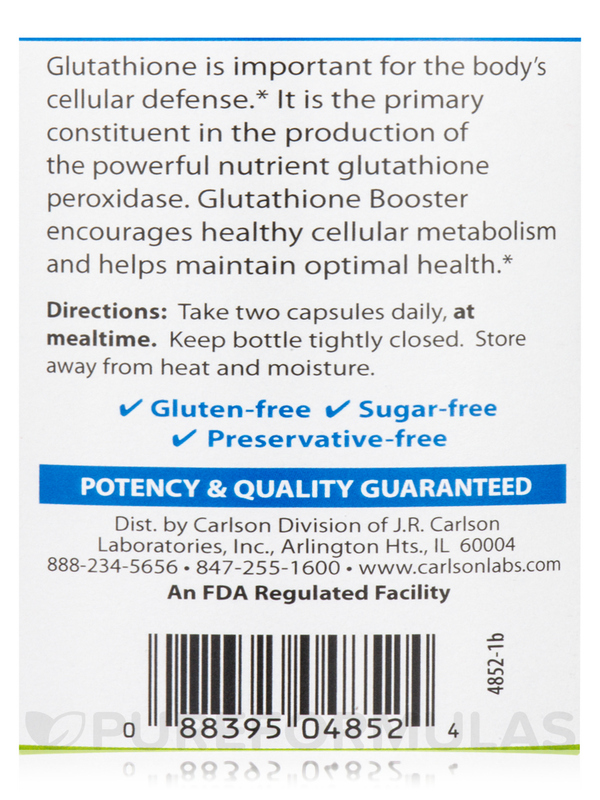 My wife and I both take Glutathione Booster by Calrson Labs. 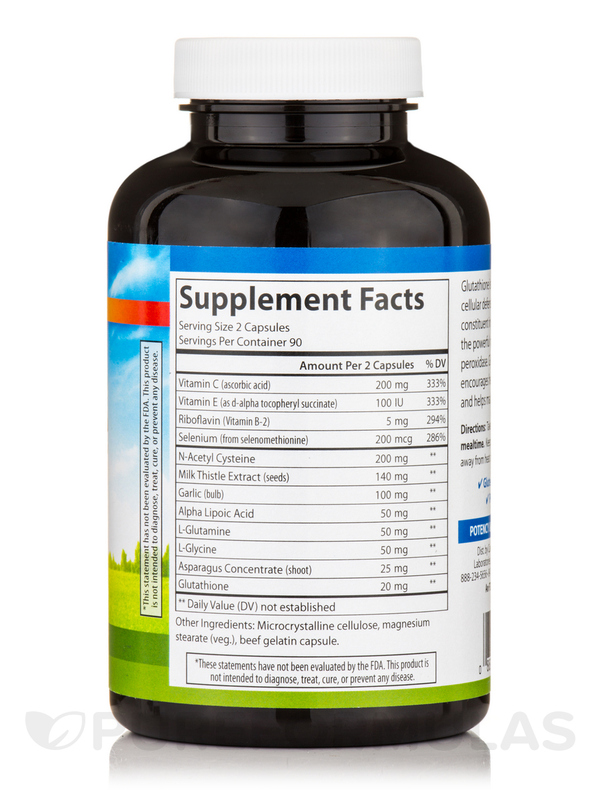 We feel more focused and are encouraged by the anti-oxidant properties of Glutathione. 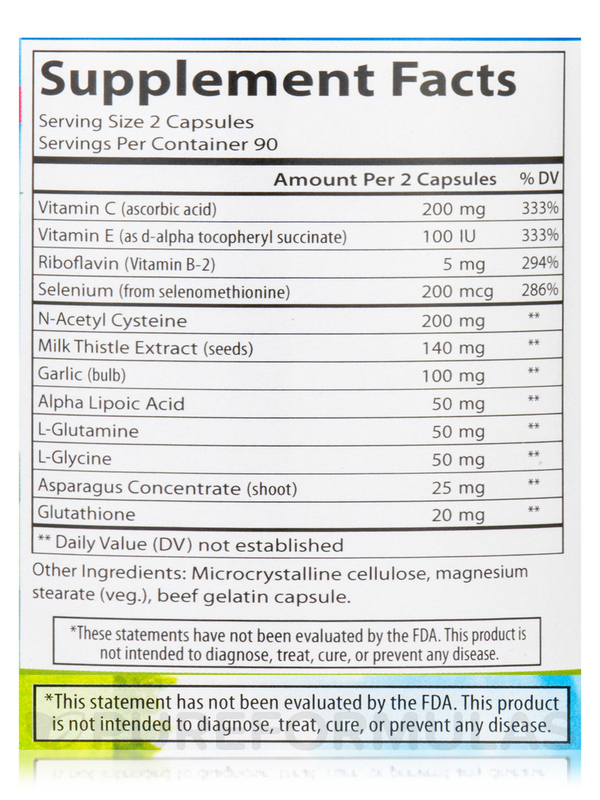 This product appears to combine all of the components the literature state is needed for the body to produce glutathione. We havent noticed any side effects.